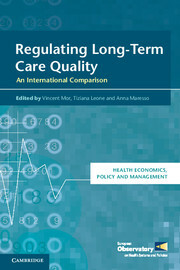 This series is for scholars in health policy, economics and management. It publishes texts that provide innovative discourses, comprehensive accounts and authoritative approaches to scholarship. It also creates a forum for researchers to participate in interdisciplinary conversations on contemporary issues in healthcare. Concerns in health policy, economics and management will be featured in the context of international healthcare practices and on-going discussions on the latest developments in scholarly research and theoretical issues from a variety of perspectives.